When you mention to neighbors that you are growing walking stick cabbage, the most likely response will be: “What is walking stick cabbage?” Walking stick cabbage plants (Brassica oleracea var. longata) produce cabbage-type leaves atop a long, sturdy stem. The stem can be dried, varnished and used as a walking stick. 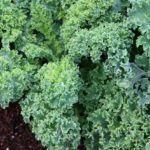 Some call this vegetable “walking stick kale.” All agree that it is among the more unusual garden veggies. 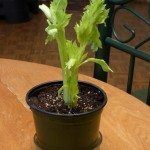 Read on for information about how to grow walking stick cabbage. What is Walking Stick Cabbage? Walking stick cabbage is not well known, but those gardeners who grow it, love it. It almost looks like a Dr. Seuss plant, with a very tall, sturdy stem (up to 18 feet high) topped by a fluff of cabbage/kale leaves. Native to the Channel Islands, it is an edible ornamental and will certainly attract attention in your garden. The plant grows faster than Jack’s beanstalk. Its stalk shoots up 10 feet in one season, producing enough leaves to keep you in vegetables for the season. It’s a short-lived perennial in USDA zones 7 or above, standing in your garden for two or three years. In cooler regions, it is grown as an annual. Walking stick cabbage plants are almost as easy to grow as regular cabbage or kale. Walking stick cabbage growing should occur in neutral soil, with a pH of between 6.5 and 7. The plant does not do well in acidic soils. The soil must have excellent drainage and should be amended with a few inches of organic compost before planting. Start walking stick cabbage seeds indoors about five weeks before the last projected frost. Keep the containers on a windowsill in a room around 55 degrees Fahrenheit (12 C.). After a month, transplant the young seedlings outdoors, allowing each plant at least 40 inches of elbow room on each side. Walking stick cabbage growing requires weekly irrigation. 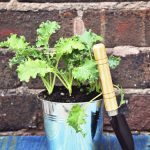 Immediately after transplanting, give the young walking stick cabbage plants two inches of water, then another two inches per week during the growing season. Stake the plant as it starts to grow taller. Can You Eat Walking Stick Cabbage? Don’t be embarrassed to ask “Can you eat walking stick cabbage?” It’s such an unusual-looking plant it is hard to imagine it as a crop. But the simple answer is yes, you can harvest and eat the leaves of the plant. You are better off not attempting to eat the thick stem, however.